History is silent time and place of appearance of the first eggs. According to one legend, the king of Austria and Bohemia Franz Joseph I was hungry while hunting. He looked into a poor peasant hovel, where he was treated to a dish of milk, raisins, flour and eggs. Distinguished guest scrambled eggs very much, and he ordered his cooks to serve uncomplicated food on the table. For many centuries, the recipe for scrambled eggs was varied, but the main ingredient is still the same - eggs. Six or seven eggs break in a bowl with milk (half a Cup of milk will be enough, otherwise the omelet will be very liquid), add salt, one teaspoon of sunflower oil and stir well. For the filling, scrambled eggs are suitable for almost all meat products, vegetables, herbs and many others: mushrooms, sausage, chicken, ham, croutons, onion, bell pepper, tomatoes, potatoes, cheese. The filling, cut into small cubes or strips, can be inserted directly in the milk-egg mixture and mix well before baking. Pour the mixture on a hot griddle previously greased with vegetable oil. Or you can first pour on the hot pan, half whipped with milk eggs, and after a while, on top of the first layer of the omelette spread the filling and pour the remaining eggs. There is a third way - put out pre-stuffing in the pan and at the end pour the whipped eggs with milk. Until the egg mass thickens, it is necessary to mix, then fold the edges of the omelet with a knife and place on a platter. Lush omelet is ready. Vegetable oil can replace butter, and milk cream. Fans of crisp fried omelette with two sides. By the way, at restaurants often served scrambled eggs in this form. Some Housewives think that the secret to a lush scrambled eggs in hot milk, which pour into the beaten eggs. 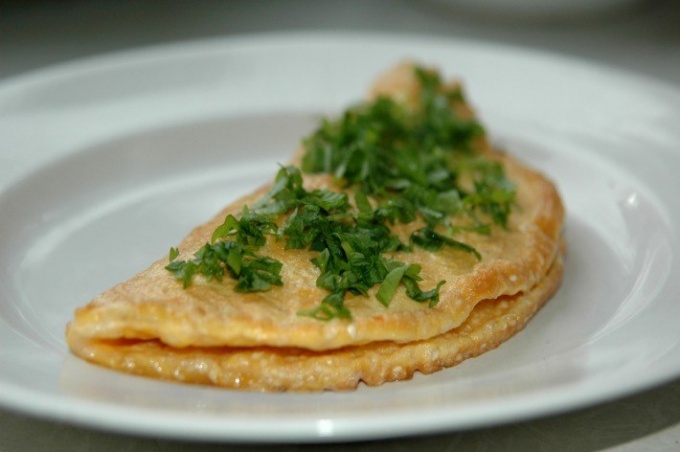 Very tasty dish: put the omelet on French toast or a crispy thin flatbread (lavash). These sandwiches garnish with greens and serve for the holiday or everyday table.